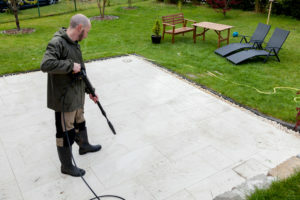 As a company we are focused on providing high quality pressure washing services for residential and commercial clients. Our team of experts are professionally trained, experienced and fully equipped with the best products and techniques in the industry. We guarantee outstanding results and 100% customer satisfaction! We are #1 Power Washing Annapolis. For a Free Estimate Call us Today! Annapolis Brothers is the professional power washing company that many happy homeowners in Maryland have trusted on. Our Customers have relied on us to always deliver them high quality services at affordable prices. While anyone can perform simple exterior cleaning duties, it is safe to say that removing mold, mildew and grime is a task better left to the experts. Exterior mold can spread extremely fast. It will not only affect your homes appearance but it can also pose some risks to your health. We have all the right equipment and detergents to completely get rid of stubborn mold and the toughest stains out there. Contact us to learn more about Roof Cleaning Annapolis services.